Snappers can be found in oceans and bodies of water across the world. Varying in size, shape and color, these fish are an important sources of food to many people. The artist captures the somewhat stout body of this animal with bold reds and blues that provide a nautical feel to this piece. 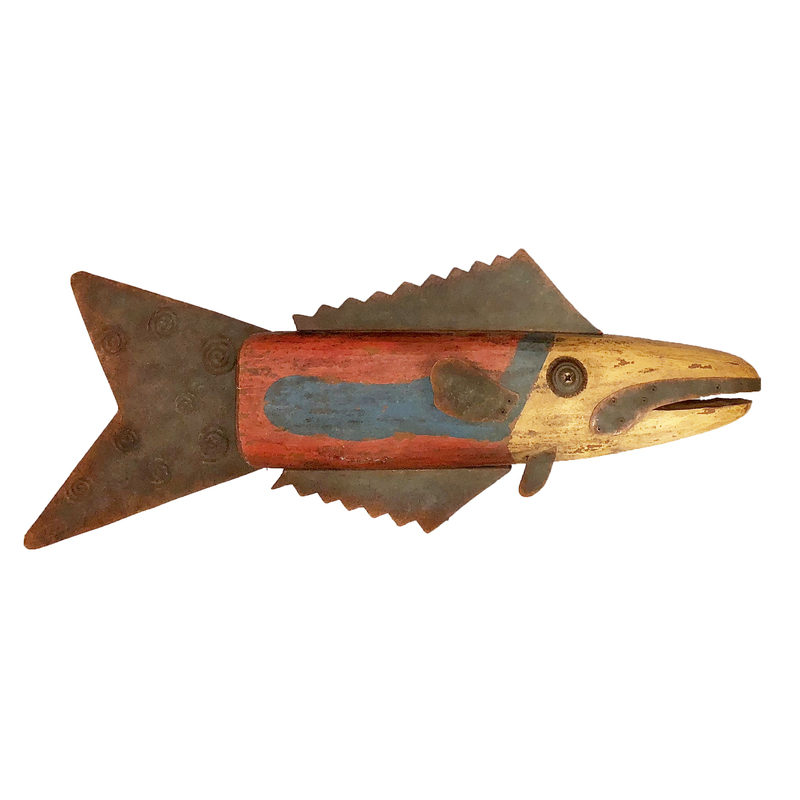 Rustic and destressed finishes as well as rusty colored fins create a worn feel that is perfect for any casual space.